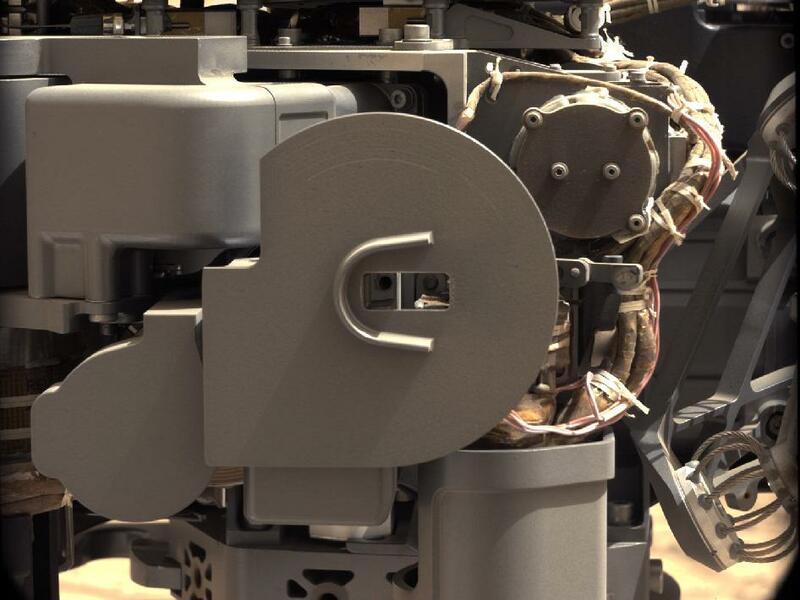 PASADENA, Calif. – Two compact laboratories inside NASA’s Mars rover Curiosity have ingested portions of the first sample of rock powder ever collected from the interior of a rock on Mars. The rover’s Chemistry and Mineralogy (CheMin) and Sample Analysis at Mars (SAM) instruments received portions of the sample on Friday and Saturday, Feb. 22 and 23, respectively, and began inspecting the powder. “Data from the instruments have confirmed the deliveries,” said Curiosity Mission Manager Jennifer Trosper of NASA’s Jet Propulsion Laboratory, Pasadena, Calif. The powder comes from Curiosity drilling into rock target “John Klein” on Feb. 8. One or more additional portions from the same initial sample may be delivered to the instruments as analysis proceeds. During a two-year prime mission, researchers are using Curiosity’s 10 science instruments to assess whether the study area in Gale Crater on Mars ever has offered environmental conditions favorable for microbial life. More information about Curiosity is online at: http://www.nasa.gov/msl andhttp://mars.jpl.nasa.gov/msl/ . You can follow the mission on Facebook at:http://www.facebook.com/marscuriosity and on Twitter athttp://www.twitter.com/marscuriosity .